I just returned from a weekend program at the Omega Institute given by Kelly Brogan, M.D. I was there to absorb all I could about her work with depression, anxiety and mental illness. Until recently I had no idea of the massive scope of this problem. Today depression is a global epidemic with the World Health Organization naming it the number one cause of disability worldwide. I have always been a relatively happy person. But what I have found in my work as a holistic coach (and now training in functional medicine coaching), is that it’s’ rare to encounter anyone – anyone – who has not experienced some level of anxiety or depression. Most are unwilling to speak of it. Who is Kelly Brogan, M.D. anyway? I don’t remember exactly how I first came to know Dr. Kelly Brogan, but somehow in my research, she popped up. Brogan is one whose credentials speak volumes but whose actions and courage inspire. She’s an M.D. (Cornell and NYU); a neuroscientist (MIT); board certified in Psychiatry and Psychosomatic Medicine, and Integrative Holistic Medicine; a New York Times bestselling author (A Mind of Your Own); involved in countless boards, and certified KRI Kundalini Yoga teacher… I could go on. 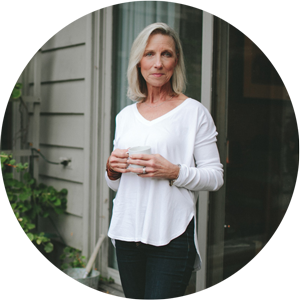 For many years she had a traditional psychiatric practice – couch and prescription pad in hand, until one day, she was diagnosed with Hashimoto’s disease. She was told that she would be on meds for the rest of her life. An independent thinker, science fanatic, and ferocious researcher, Brogan poured through the medical research and uncovered a new truth that radically challenged mainstream assumptions about disease and depression, and completely stunned her – “enraged” I believe was the word she used. She went on to put her Hashimoto’s into remission and overhaul her psychiatric practice, discarding her prescription pad and never again starting a patient on any medication. “There’s something even more powerful that is possible and it involves honoring the body’s vast realms of unquantified wisdom, the power of belief, and the incredible potential for quantum leaps in self-healing when spirituality is included in the assessment.” Kelly Brogan. What I learned from my weekend with Dr. Kelly Brogan. # 1 – We have come to rely on the wrong cure. Today we look to the miracles of modern medicine to cure us, yet when it comes to chronic disease and mental illness, the answer is not in a pill. The science today is irrefutable: As much as 90% of all chronic disease is a function of lifestyle and environment. We want the pill. We want the quick fix, but it doesn’t work that way. Medications do not cure chronic disease. They suppress symptoms. #2 – It’s all connected. Our body is like an “intricately woven spider web”. Tug on one part, and everything shifts. To think that one medication could affect just one discrete function or neurotransmitter is flawed. Birth Control Pills – affect hormonal balances, deplete key nutrients, diminish libido, and increase inflammation. And women on the pill have a higher risk of being diagnosed with depression. Statins – have been linked to more than 300 adverse health effects, including muscle and nerve damage as well as cancer and have even been the focus of warning from the FDA. Proton Pump Inhibitors/Antacids – hinder digestion and deplete B12 – one of the body’s most vital nutrients. Tylenol – can have toxic effects on the liver and affect one’s mood. Fluoride – is a neurotoxin. Antidepressants – have recently been labeled as carcinogens with a long list of side effects, including: headache, nausea, insomnia, sexual dysfunction, stroke, and an increased risk of mortality, increased risk of suicide and violence. Drug-based medicine is the third leading cause of death in the U.S. And the U.S. is one of only three nations in the world that allows direct to consumer advertising for pharmaceuticals. If you’ve ever stopped to listen to the exhaustive list of potential side effects of any drug ad aired during your favorite TV series, it might give you pause. The very treatment for mental illness is perpetuating it. #3 – Always ask why. In functional, holistic medicine, the question is not simply what is happening to my body but why. Why am I unwell? Why are my arteries starting to clog, or my brain beginning to fog, my mood taking a down-hill slide, or my thyroid starting to die? We’re quick to prescribe but slow to get to the root cause of the problem. Our brain doesn’t just head south into anxiety without some underlying cause. Brogan was crystal clear on this: The body is innately intelligent and symptoms are its way of sending a message from deep inside that something is off. Identify and treat the cause and you can create a path to wellness so medications are no longer needed. #4 – Depression is not a chemical imbalance in the brain. We have long been led to believe that depression is caused by a chemical imbalance in the brain. In truth this theory has no scientific foundation. Mental and emotional illness develops as a result of physical and spiritual imbalances that currently pervade our culture. Grief, worry, fear, stress, and isolation have a physical impact on the body. Other physiological imbalances that don’t seem to be brain related at all play into this as well; things like blood-sugar and hormone imbalances, food allergies, nutritional deficiencies, toxins, and side effects from seemingly benign over-the-counter or prescription medications. All of these can trip up our bodies and our minds. #5 – Beliefs drive the cure. Kelly Brogan uses the phrase, “Fierce Grace”, to suggest the uncompromising role each of us plays in protecting our health. When we abdicate this to another – say, a doctor, for example, we turn away from the intuitive knowledge only we have of our bodies. She openly admits that she has never cured anyone. The women and men who come to her, cure themselves through their deep desire and firm belief in their ability to heal. 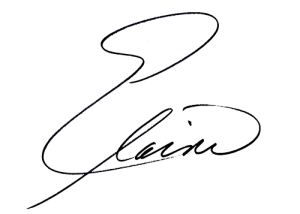 The protocol she has developed, refined, tested, and refined again… is remarkably simple. And it’s working – beautifully. But she is the first to acknowledge that the strength of belief is fundamental. #6 – Move from fear to curiosity. On the subject of pain, suffering and grief, Brogan reminded us that these are substance of our human experience, not to be medicated away and ignored but explored. She spoke of shifting our mindset from fear to curiosity, emotions that have opposite physiological effects on your body and influence how we think and how we feel. Curiosity is a positive force. It lifts you, puts you in a place of discovery, and helps you to see possibilities and potential you might otherwise have never noticed. Fear has the opposite effect. It is dark and compressing to the spirit and shuts out possibility, closing you in and constricting your life. #7 – To heal the mind we must first heal the body. This is the foundation for Kelly Brogan’s work. The mind does not sit independently up there on our shoulders. It is deeply connected to all of the workings, struggles, ailments, feelings and injuries of the body. When the body is broken, so is the mind and vice versa. To heal our mind, we must first heal our bodies – and that is the program she has developed that is profoundly changing lives. #8 – Do not go alone! 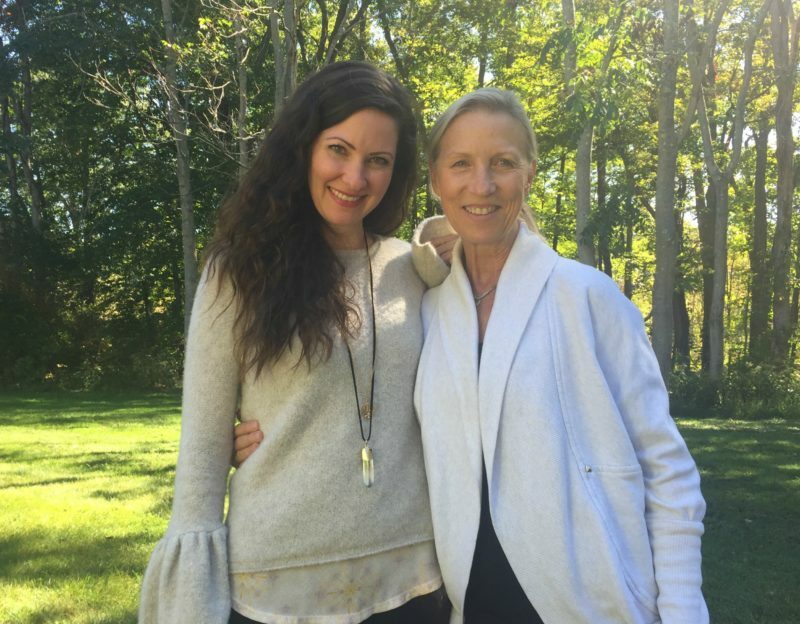 Arriving at the Omega Institute Saturday morning, I walked into a roomful of strangers: mothers with daughters, friends with friends, business colleagues with their associates. I walked out with deep connections and a new understanding of the power of “community”. In our fast, furious, and competitive world we have lost our community. Heads down and full speed ahead, we neglect this most vital aspect of our humanness. And it’s affecting our health and longevity. To sit with this group and experience the shift from a sense of defeat to fierce determination to heal themselves is impossible to put into words. Daily I jump onto Brogan’s on-line group where I watch how support, coaching, connection and love transform and bring about healing. 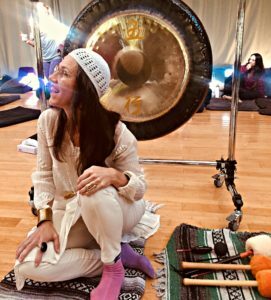 Woven throughout the program was the teaching of Swaranpal Kaur, an experienced practitioner of Kundalini and Vinyasa yoga and a woman whose sheer presence radiates pure calm power. This unique woman guided us through meditations, breath work, and yoga practices. The intent was to take us inside and allow us to see and feel, perhaps for the first time, our personal strength. “The primary purpose of this course is to help you step into your power and awaken your body’s native intelligence and your own awareness of this innate and awesome gift.” Kelly Brogan, M.D. I believe many of us go through our lives believing we’re not quite enough. For some strange reason, others have it together but not us. We need a little more work. And the irony is that despite what we do, it’s never enough. We’re always reaching for that next thing. That missing something that will make us whole. Brogan’s message of personal strength put a spark in the heart of every woman in that room, and a seed of belief that each is whole and complete just as is. We are not broken. We are works of art and works of life in progress. Well done! Thank you for such a wonderful article spreading the light and the awareness of Kelly Brogan. My pleasure, Peter. Her work is amazing and the more we know the faster we’ll heal! Thanks for your thoughts! Elaine, you are so insightful and beautiful inside and out. You are a real blessing to everyone who knows you. Thank you, Marcia! So glad we met. Keep me up on your progress and let me know how you’re doing! Maybe we’ll meet again for another course at the Omega Institute! Thank You Elaine for this article. I have fairly recently been made aware of Dr. Kelly Brogan and am truly inspired by her story, research and healing path. I read Mind of Your Own over the summer (actually listened to the CDs on my daily commute) and found it awe inspiring. She talks about how we are only one of three countries in the world where Big Pharma is allowed to market directly to consumers in the form of tv commercials, magazine ads, mobile ads and even bus stop billboards (Brazil and New Zealand are the others). How can we allow consumers to make such tremendous life-altering decisions? Ahhhh, yes – because it sells! It puts it all into a new perspective to me!! I thank Kelly Brogan for enlightening me on so many things I previously took for granted. The weekend at Omega was fabulous ! !- I loved being in your company – you are a gem – full of life; curiosity; empathy and light. Looking forward to continuing the adventure with you…..
Hi Elaine, I loved your post on Kelly Brogan, she’s really amazing isn’t she? I wish I had been able to attend this conference! I am attending the Functional Medicine Coaching Academy and would love to meet some more like-minded people in-person. Thanks so much again for sharing what you took away from the conference. Thank you, Jayne Anne, for your kind thoughts! So happy to hear from another FMCA friend. Dr. Brogan has done a few programs that I’m aware of and she is building a strong presence on-line. Be sure to get on her mail list. I have learned so much from her! If you’re ever in New York, look me up. I would love to meet you as well.